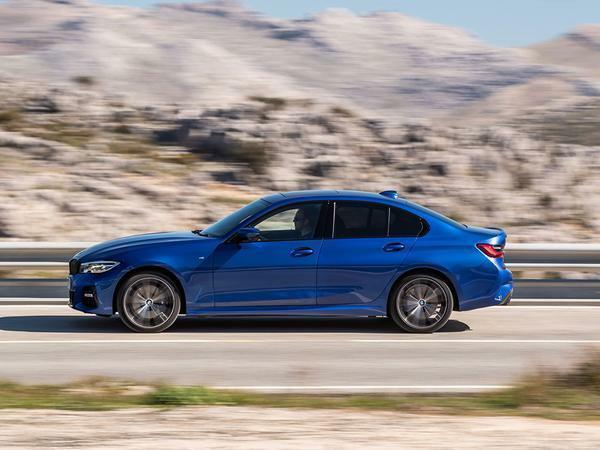 BMW says every variant of its latest, G20 3 Series is fun to drive. It insists this was a priority for its engineers from day one of the platform's development, and when you consider that the outgoing F30 was no slouch in the handling department, the claim bodes well for the model's small mountain of UK buyers - not least for the significant proportion that remain wedded to the comparative benefits of the once revered 320d. The improvements predominately centre on the car's architecture. 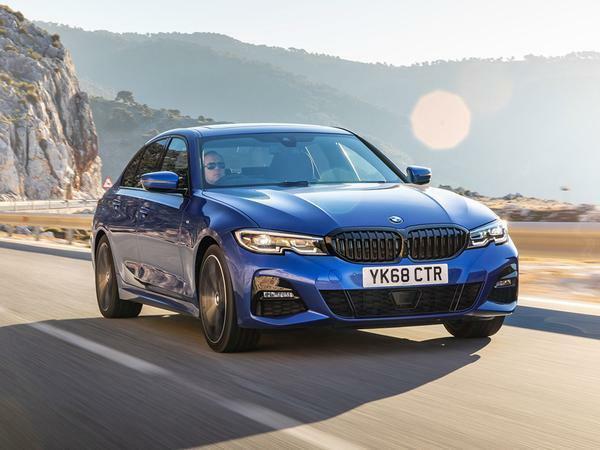 Compared to its sixth-gen predecessor, the new 3 Series' underpinnings manage to be larger and 25 per cent stiffer yet also 20kg lighter; while an additional 15kg has been removed courtesy of the now aluminium front wings and bonnet. It is also used in the front spring struts and engine subframe, saving a further 7.5kg. 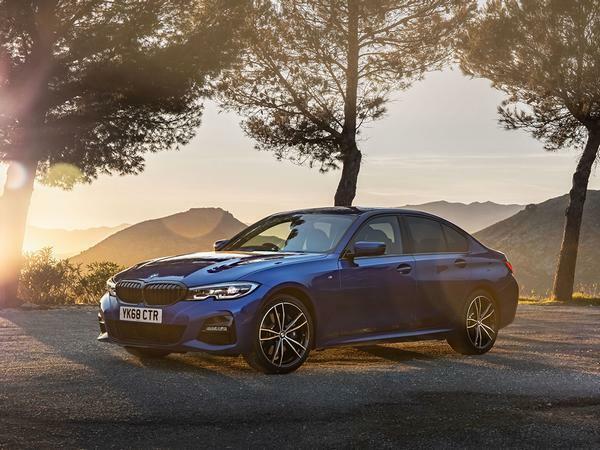 In total, the 2019 3 Series is up to 55kg lighter than the F30, meaning a 320d now tips the scales at 1,525kg with a near 50:50 weight distribution. No featherweight, but it certainly makes the 1,705kg Mercedes-Benz C220d look rather podgy. 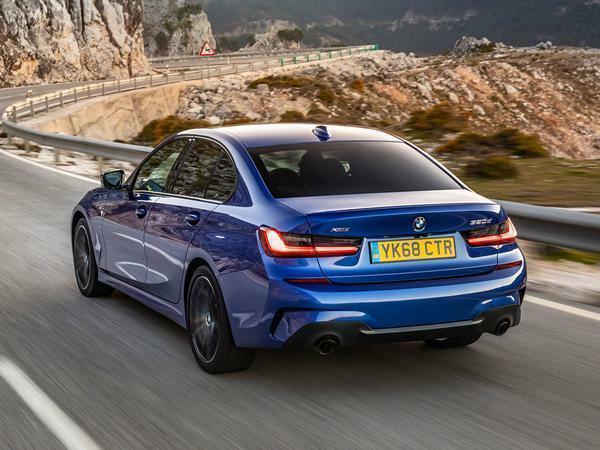 On that subject, the new car's bigger frame lends itself to wider tracks and, as a signal of BMW's intent, the wheels are set with more aggressive camber angles. 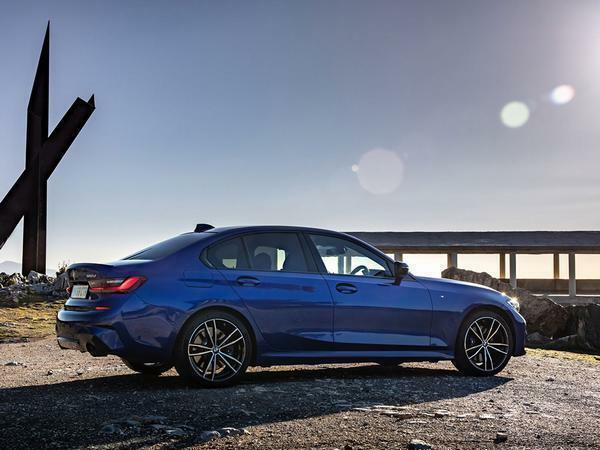 There are also stiffened mounting points for the suspension and a slipperier than ever body, with drag coefficient now improved to an admirable 0.23 Cd (from 0.26 in the F30) thanks to, among other things, the installation of active grille flaps. 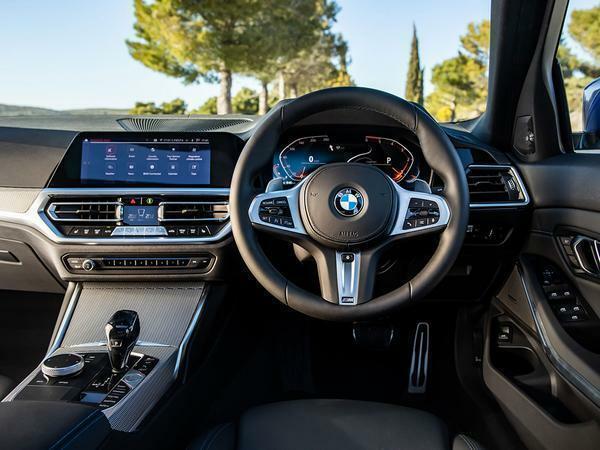 The overhaul continues inside with the appearance of BMW's latest 7.0 infotainment system, which features its "Hey BMW" voice activation technology. Think of this like Apple Siri or Amazon Alexa: saying "I'm cold", for example, is met with a response about what temp you'd like the cabin set to - but don't expect anything more intuitive or conversational than that. Also new for the G20 is a digital instrument cluster as part of the Tech Pack which enables customisation of the layout and what info is placed in front of you. 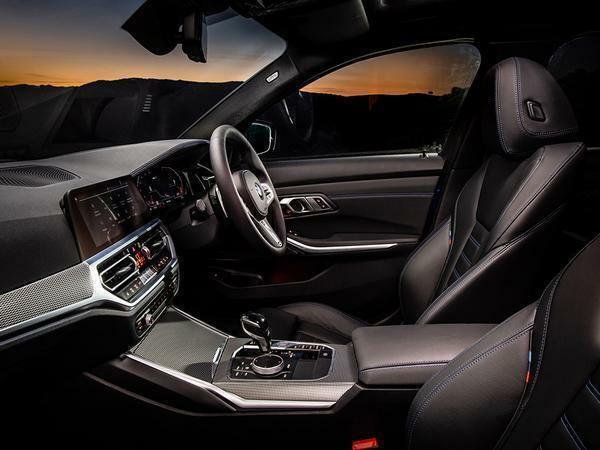 Although BMW is rather playing catch-up here to Audi's superior Virtual Cockpit tech. Alongside the dampers you get an 'adaptive' drive mode that also impacts on the weight of the electrically assisted steering and the responsiveness of the powertrain. If you cruise along a motorway, for example, the car tunes itself for comfortable driving; venture onto a B-road though and everything tightens up like you were in 'sport'. 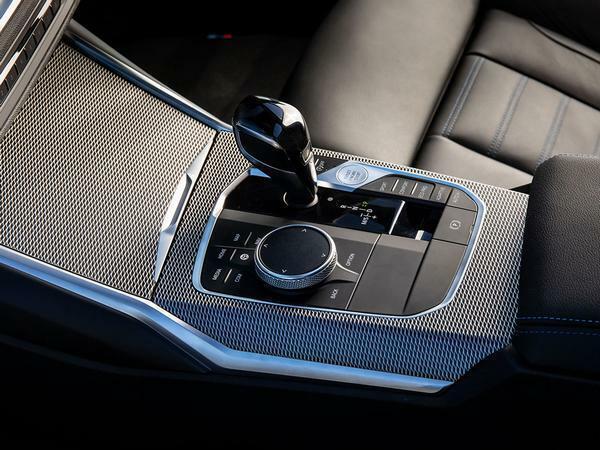 The transformation incorporates the behaviour of the eight-speed automatic as well, which also quickens its shifts and adds a little percussive thud to each gear change. Of course, with its smooth and refined (but far from potent) turbocharged four-cylinder engine, the 320d lacks the drama to keep pace with the illusion; its 190hp and 295lb ft of torque are happily ensconced in the mid-range, and BMW still doesn't provide any compelling reason to explore beyond. 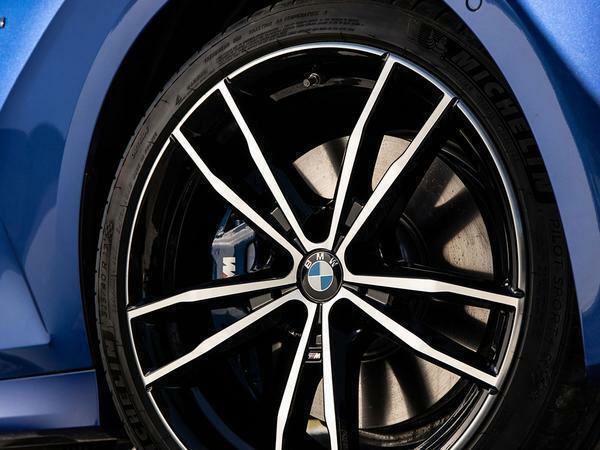 The M Sport chassis, however, sat 10mm lower than standard, is positively eager to impress. With Michelin Pilot Sport 4S rubber on 19-inch wheels, it's practically impossible to make the all-wheel drive version come unstuck on a 21-degree day. Body control is good, too, so you can fling the nose at a corner and it'll follow with a wonderfully neutral balance. Push harder and there's a tiny hint of adjustability from the rear - the first signal of it, anyway - but then nowhere near enough grunt to mobilise it properly. Still, that the 320d remains so content at the prospect of being chucked around sets it in good stead for the average rep's requirements - and leaves it with a traditional advantage over the equivalent C-Class and Audi A4. For the rear-driven model we embark on the same motorway, village and then mountain road route as the xDrive. This model also has M Sport suspension, but no optional adaptive damping, and the difference in ride is clear from the start. It's not night and day, but the road ridges we discovered earlier in the adaptive car's 'sport' mode are definitely noticeable all of the time, albeit to a lesser degree. 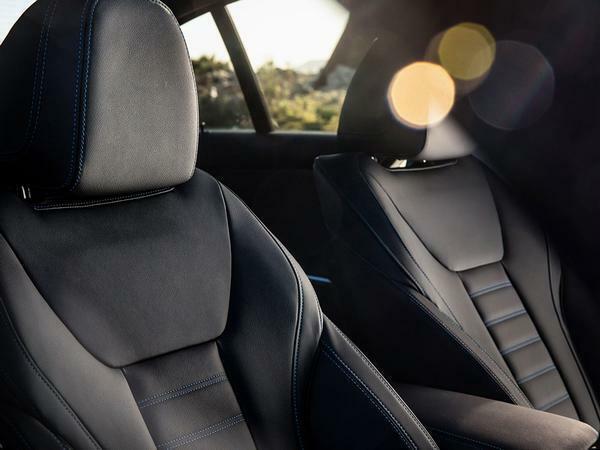 We'd imagine the rates are about halfway between 'sport' and 'comfort', which would make sense, although it does suggest that selective damping will be a virtual no-brainer in Britain - especially if it amounts to a few extra quid a week when bought on PCP. On the mountain route our rear-drive 320d is undoubtedly the more mobile machine. Direct comparison is impossible thanks to smaller 18-inch wheels and less grippy Goodyear Eagle F1s, but certainly the reduced traction helps us examine the G20's inherent chassis balance at a lower pace. It's very good, too, with the steering providing the sort of quick reactions that you'd typically associate with hot hatches. It never gets to pantomime levels, obviously - really lob the 320d into a bend and stamp on the throttle and you'll enjoy some oversteer, but only for a second on a warm, dry day and to a tiny degree as there's not enough power to keep it going. 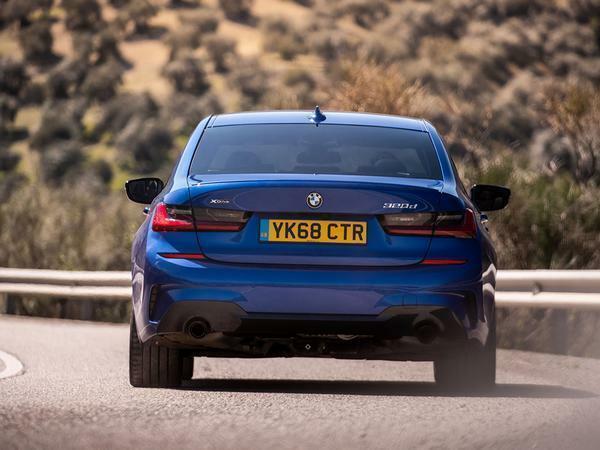 The real revelation - and the 3 Series' calling card - is that the genuine handling credibility at one end doesn't interfere with what it was designed to do brilliantly at the other: be a calm, quiet and easy to live with executive saloon. 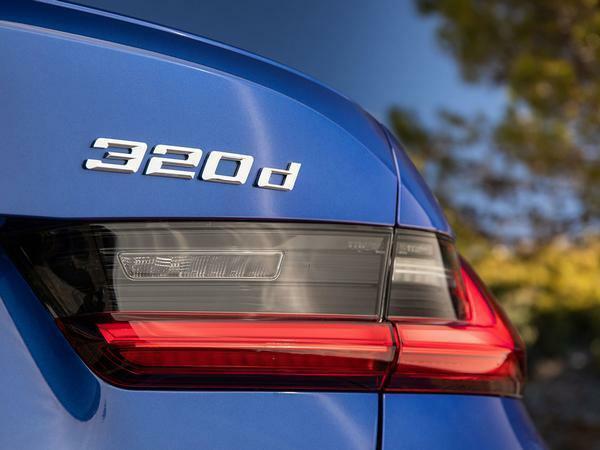 Frankly this was always going to be the case (the 320d is no more likely to be bad than the latest Porsche 911 or Volkswagen Golf) but if you want the PH-certified edition, we'd plump for the rear-drive (obvs) model on those smaller wheels, tick the adjustable dampers box and probably stick with the six-speed manual we didn't get to test. Obviously that goes against the established grain for actual 320d drivers - where passive suspension and big alloys are likely to proliferate - but it might make the commute home a little more fun. 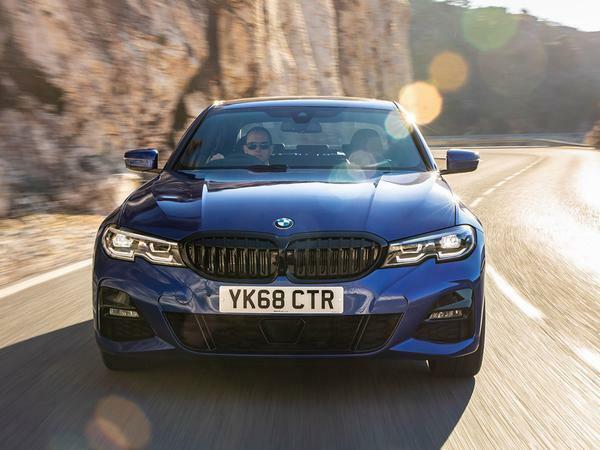 As ever, that commodity is ultimately in short supply with a four-cylinder diesel engine doing the heavy lifting, but the G20 reasserts BMW's place at the top of the old pecking order by being lighter, swifter and cleverer than anything else. 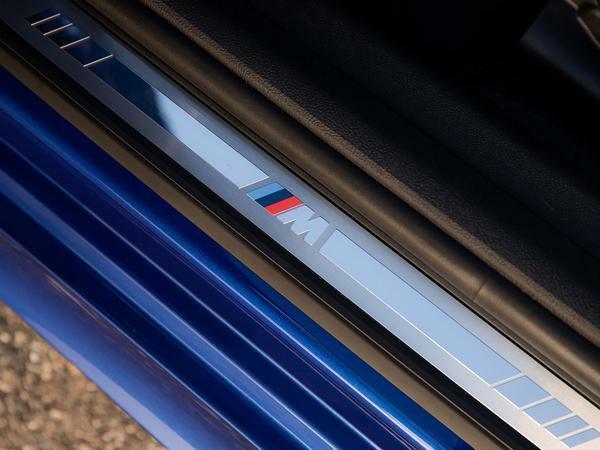 And even if that means little to anyone outside the business user community, it does at least suggest that the starting point for the next M3 is already exceptionally good. Tried one on Friday - on non adaptive M Sport suspension, the ride on UK roads was quite frankly terrible. They’ve certainly made it a better drivers car, but they’ve gone too far on the firm ride. And according to the dealer there is no manual, it’s auto only. Does look good, and instantly recoganisable as a beemer. I know a 320d is widely considered on PH to be the devil's instrument, but for real world, high mileage use, this looks like a good update of what was already one of the best all-round cars on the market. Lighter, stiffer, more refined, nicer inside and faster. On the latter, look at those performance figures - that's last gen hot hatch acceleration in a car that will do 50 mpg without trying. These will deservedly sell like hot cakes.